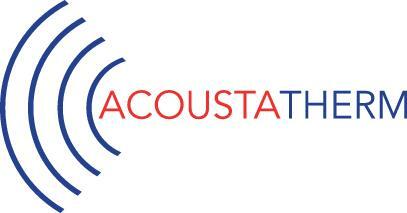 AcoustaTherm™ is a patented multi-layer thermal and acoustic shield constructed of aluminum and either expanded foam (AcoustaTherm1), or non-woven fiber, or other synthetic absorbing materials (AcoustaTherm2). Shields can be formed or flat and attached using push pins, projection studs, rivets, or pressure sensitive adhesives. AcoustaTherm™ utilizes low cost die cutting and forming tools to draw parts into the final geometry. A temperature drop of 490°F across this material is typical, with a 1000°F source temperature and only a ½” air gap.Typical transmission loss is 45 to 50 dB at 2500 Hz and up.